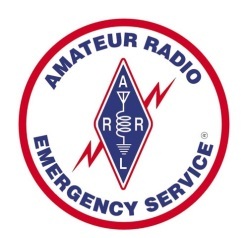 JCARES – Jefferson County ARES, "WHEN ALL ELSE FAILS"
is a field organization of the American Radio Relay League (ARRL) and is comprised of FCC licensed amateur radio operators. Our “Hams” volunteer their time, skill and equipment to serve the community during times of disaster and distress, when normal communications media are not available, have failed or are badly overburdened. All JCARES members are also registered as RACES (Radio Amateur Civil Emergency Service) radio operators and serve in this capacity under the direction of the Director, Jefferson County Emergency Management Agency (EMA). While EMA & E-911 are our principal served agencies, JCARES members may be called upon to assist other Jefferson County government and non-government agencies. In addition, mutual aid requests to assist other ARES / RACES groups within and without the state of Tennessee are possible. We also coordinate with METERS, The National Weather Service (Morristown) Skywarn net and are active in the local Hospital net as well as the national Traffic System. JCARES conducts a weekly communications training net on Mondays at 1800 hours on 145.410 Mhz (R). Our meetings are held on the 2nd Monday of each month at 1800 hours. We usually meet at EMS station #3 in White Pine, near exit 4 of Interstate 81. (Nets are not conducted on meeting nights). All licensed radio amateurs are invited to participate in our nets. Our monthly meeting is open to licensed hams or those who may have an interest in becoming an amateur radio operator and serving their community. All amateur radio operators in Jefferson County interested in serving our community during communications emergencies are welcome to join. If you live in another County, you may be able to join JCARES with approval from your local ARES Emergency Coordinator (or District EC if no EC in your county). 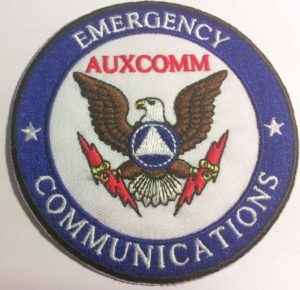 Our focus is on Emergency Communications and we are both ARES and RACES affiliated.